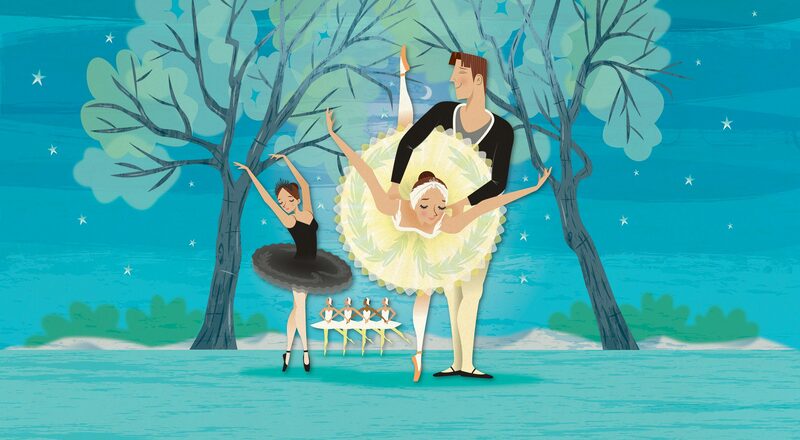 Take a look at our range of merchandise available at our My First Ballet Online Shop. A young, ambitious wizard called Rothbart wants to gain the affection of Odette, a princess who is friends with his little sister Odile. He asks her to marry him, but when she says no he places an angry spell on her and turns her into a swan. Meanwhile, at the nearby palace, Prince Siegfried is having a party with his friends to celebrate his 18th birthday. While they are enjoying themselves, his mother the Queen appears with a gift, a crossbow. She tells him that it’s time for him to grow up – he must stop playing out so much and find a bride at the royal birthday party the following evening. He doesn’t want to. He just wants to run in the fields, have adventures, fall in love. The Queen is very unhappy and leaves. Siegfried is also unhappy and his friends try to cheer him up. 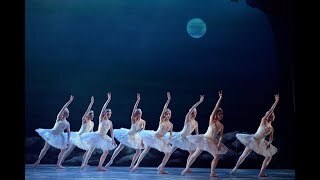 They see a flock of swans and decide to follow them into the forest. The friends chase the swans but lose them. They go further into the forest to try to find them, leaving Siegfried behind. Suddenly he sees one lonely swan that is about to land by the lake. The sun is setting as he tries to shoot the swan with his crossbow, but Odette appears just where the swan landed. 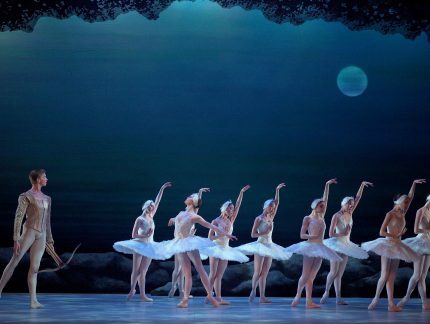 He is curious and talks to her – she explains that she and her friends have been put under a spell by Rothbart – they have been turned into swans and only at night, when they are beside the lake, can they become humans again. The spell can only be broken if someone who has never loved before swears to love her forever. 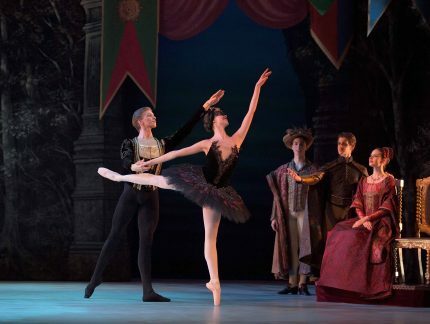 Rothbart appears and pulls Odette away from the Prince. 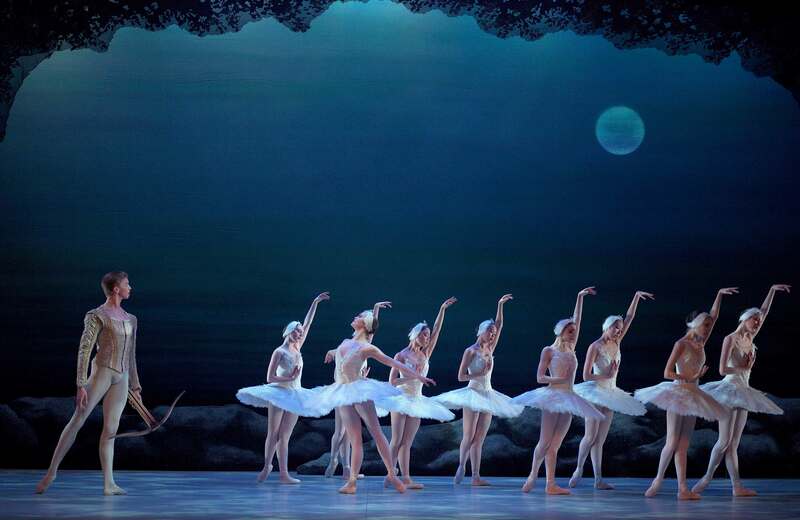 As the Prince looks for Odette again he sees more swans, and finds Odette amongst them. She begs him not to hunt her friends, they talk, and they begin to fall in love. 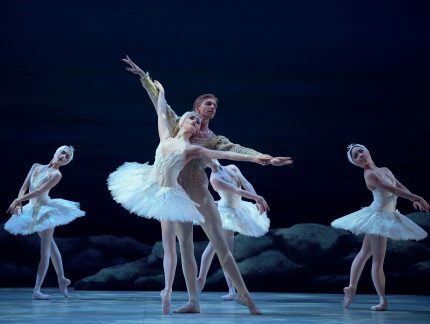 Rothbart appears once more and tries to steal Odette again. He chases Siegfried away and takes control of her. He hatches a plan to convince the Prince to swear his love to another girl so that his spell on Odette will not be broken. It is Siegfried’s birthday costume ball at the palace. 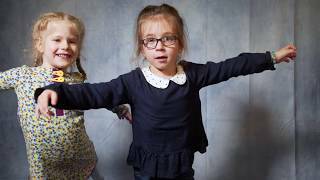 The Queen has invited princesses from faraway lands: Spain, Italy and Russia. They dance for him. He does not want to marry any of them. He is miserable and just wants his swan Odette. Rothbart and Odile arrive. Rothbart has tricked his little sister, (who secretly admires the Prince), into going to the ball to win his affections. She doesn’t realise that he has given her a mask to make her look like Odette. 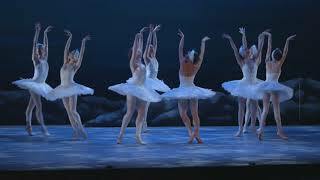 Siegfried falls for the disguise and thinks it is Odette and he dances with her so happily. He publicly swears his love for Odile. tricked them, and says that the true love belongs to Siegfried and Odette. She begs Rothbart to undo his spell but he refuses and leaves. The Prince hurries back to the lake to find Odette. 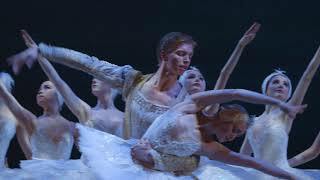 Odile follows because she is worried what the angry Rothbart may do to Odette and Siegfried. Odette is heartbroken because she thinks her prince loves someone else. Her friends comfort her. 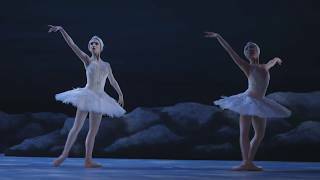 A furious Rothbart appears and tries to take Odette away but the swans protect her, and he leaves. Siegfried finds her on the floor surrounded by her friends, and thinking she is dead he falls to his knees – but she rises up and forgives him. 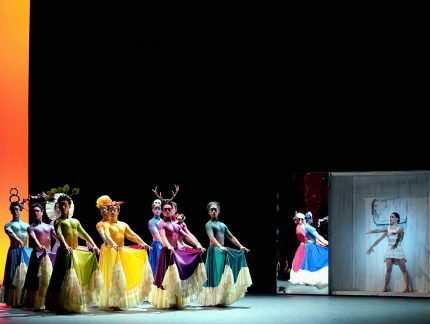 Rothbart appears and reminds the Prince that he has publicly sworn love to Odile. 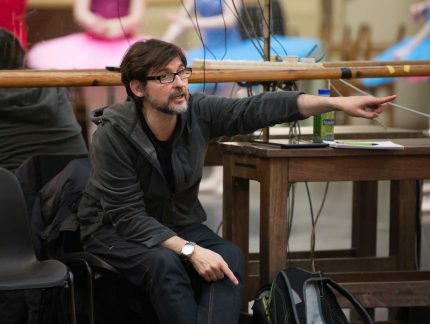 Odile arrives and begs Rothbart to break the spell but he refuses and tries again to get Odette away. 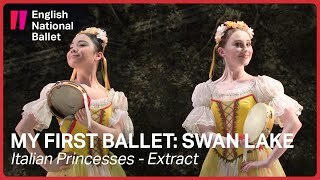 Odette, Siegfried and Odile fight with Rothbart and Odile is thrown to the floor. Rothbart immediately realises that he has done something terribly wrong. After being helped up by her friend Odette, Odile goes to her brother and forgives him. Odette thanks Odile for saving them all. Odette and Siegfried are now free to love one another forever. Odile takes Rothbart’s wings from him, he gives up his evil powers, and they all live happily ever after. 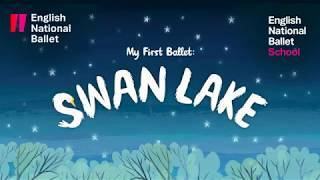 The My First Ballet: Swan Lake Symbol Resources are designed for use before, during and after performances.